Lā‘au Lapa‘au (“Healing Medicine”). 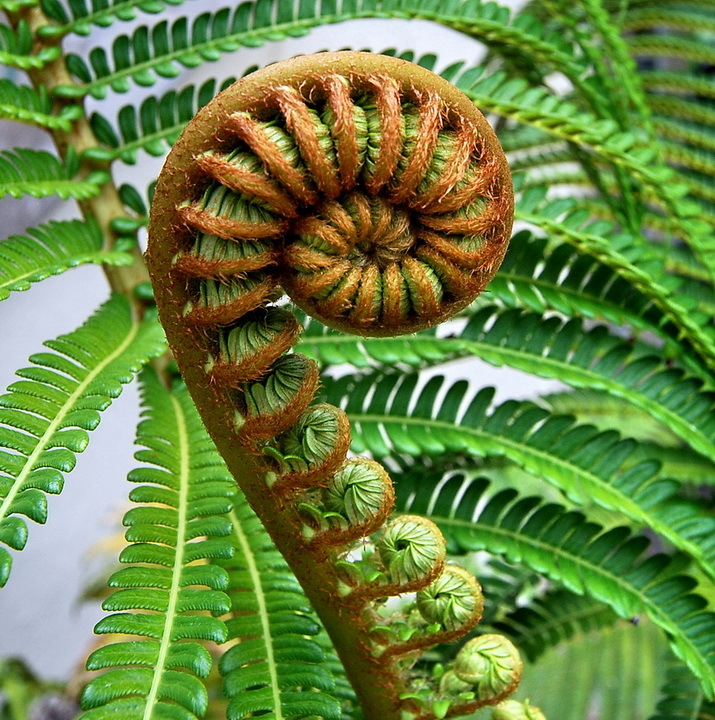 Learn how plants are used as medicine. 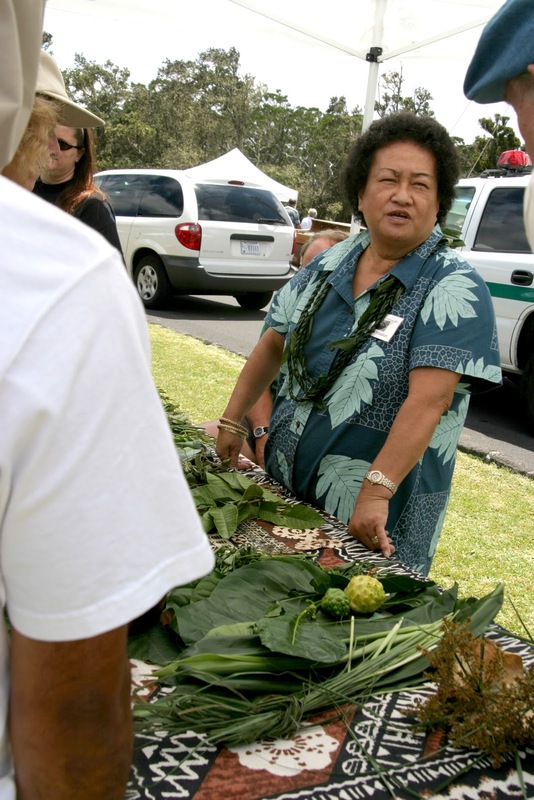 Ka‘ohu Monfort shares her knowledge of how Hawai‘i’s native plants, including noni, kukui and ōlena, can heal and nourish. Part of Hawai‘i Volcanoes’ ongoing ‘Ike Hana No‘eau “Experience the Skillful Work” workshops. Free. The Dash, White Bath Tub and other compilations. Part of Hawai‘i Volcanoes’ ongoing ‘Ike Hana No‘eau “Experience the Skillful Work” performances. 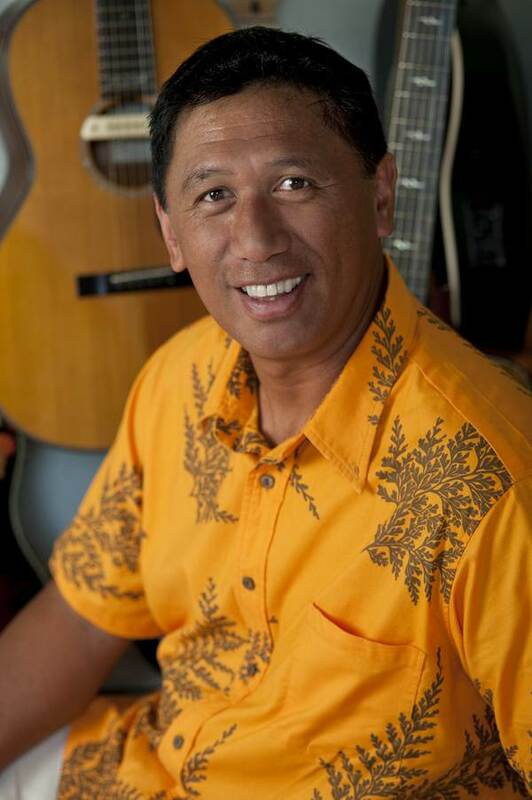 Kenneth Makuakāne, Singer/Songwriter. Can’t make Kenneth’s daytime performance June 15? Enjoy a free evening of his island music that same night! The award-winning and prolific singer/songwriter is recognized as an innovator in Hawaiian music and has more than 100 albums to his producing credit. Part of Hawai‘i Volcanoes’ ongoing Nā Leo Manu “Heavenly Voices” series of cultural programs. 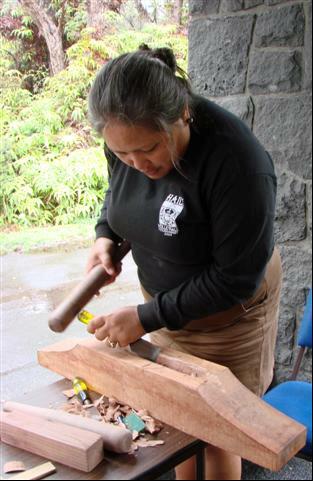 When: Wed., June 15 from 6 p.m. to 8 p.m.
Nā Kapa Pa‘ahana – Design Your Own Kapa Implements. 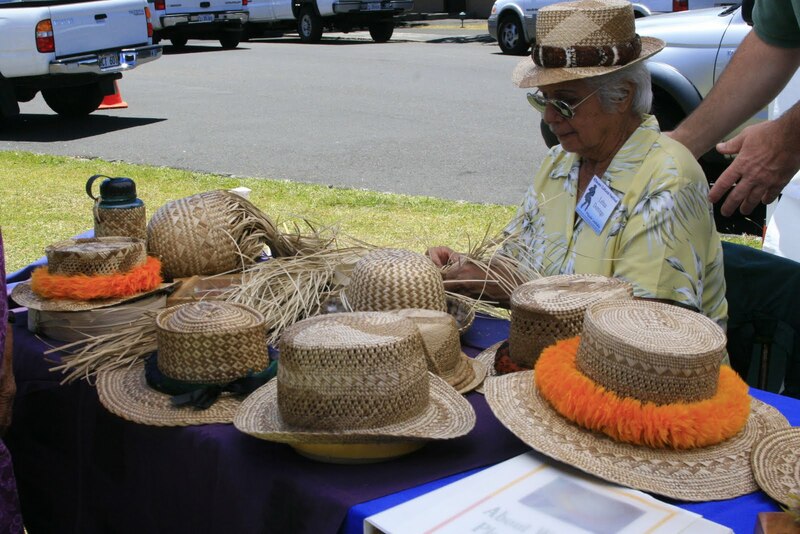 Kapa-making expert Kauhane Heloca shares the art of nā kapa pa‘ahana in this workshop. 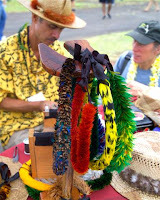 Materials cost is $300 to make four implements, including kua (wooden anvil) i‘e kuku (square beater), hohoa (round beater), and niho ‘oki (shark tooth knife). Space is limited to 35 students. To reserve a space for the workshop, contact Joni Mae Makuakāne-Jarrell via email at joni_mae_makuakane-jarrell@nps.gov, or call (808) 985-6020 by June 10, 4 p.m. Part of Hawai‘i Volcanoes’ ongoing ‘Ike Hana No‘eau “Experience the Skillful Work” workshops. When: Sat., June 18 from 9 a.m. to 3 p.m.
An Evening of Hawaiian Music and Hula. Hawaiian entertainer and kumu hula Meleana Ulrich-Manuel and her hula hālau, Ke ‘Olu Makani o Mauna Loa, will perform song and dance this special evening. The hālau has participated in countless competitions, festivals and events throughout Hawai‘i, the mainland and Japan. 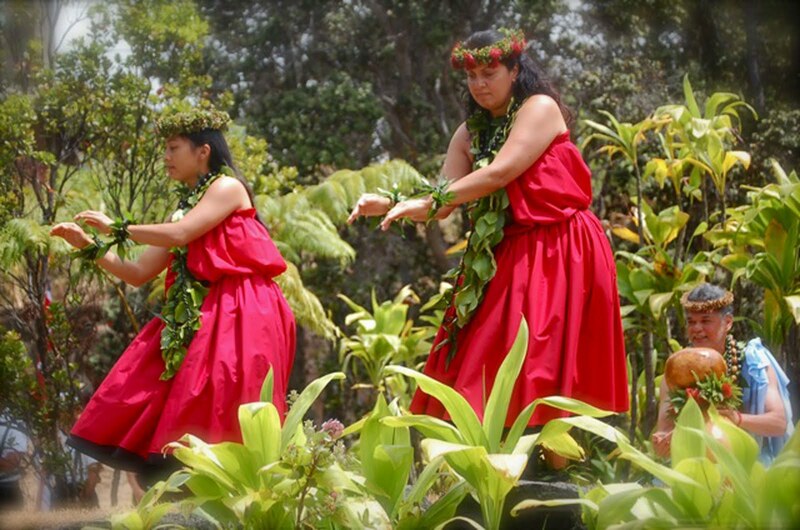 Part of Hawai‘i Volcanoes’ ongoing Nā Leo Manu “Heavenly Voices” series of cultural programs. HIKE THE KA‘U COAST: PUNALU‘U TO KAMEHAME. In honor of the American Hiking Society’s National Trails Day®, join park ranger Jay Robinson for a five-mile round-trip interpretive program along the Ala Kahakai National Historic Trail. The day begins with native Hawaiian Shanell Dedman introducing us to the ancient cultural stories and sites at Punalu‘u. From there, we’ll pass anchialine pools, sea cliffs, and more during a moderately strenuous hike that traverses raw lava fields along a windswept, sun-soaked landscape. The turn-around point is Kamehame, the black sand beach that is a primary nesting site for honu ‘ea (hawksbill turtles). Sponsored by Hawai‘i Volcanoes Institute, part of Friends of Hawai‘i Volcanoes National Park. Cost per person is $50 for Friends members and $65 for non-members. Students (K-12 and college with valid student ID) are half-price. Non-members are welcome to join the Friends in order to get the member discount. To register, call (808) 985-7373 or visit www.fhvnp.org. SUNDAY WALK IN THE PARK. This monthly program on second Sundays is aimed at bringing together the members of the Friends of Hawai‘i Volcanoes National Park to share in the park's beautiful trails. Led by Tim Tunison, this month's four-hour, four-mile round-trip hike will explore the scenery, plants, birds, and geology of the subalpine zone of the Mauna Loa Trail. This moderately strenuous hike starts at the 6,500’ elevation trailhead and ascends a gently graded slope on rolling, pahoehoe lava, with the turn-around point at 7,500’. 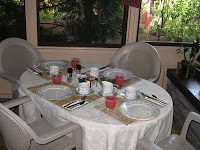 We’ll meet at Kipukapuaulu (Bird Park) to organize carpooling to the trailhead (a half-hour drive each way). The walk is free to Friends members (though non-members are welcome to join the non-profit Friends group in order to attend). To register, contact Friends of Hawai‘i Volcanoes National Park at (808) 985-7373 or programs@fhvnp.org. For more info, visit www.fhvnp.org. KEAUHOU BIRD CENTER TOUR. Join us for this special tour of the Keauhou Bird Conservation Center in Volcano, which isn't open to the general public. 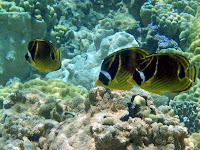 See and learn about native birds that the facility houses, including the ‘alala (Hawaiian crow), which is extinct in the wild; the palila, a finch-billed honeycreeper found only on the slopes of Mauna Kea; the Maui parrotbill, an insectivorous Hawaiian honeycreeper; and the puaiohi, or small Kaua‘i thrush. Since the tour is during breeding season, we will have a unique chance to see chicks being fed! Sponsored by Hawai‘i Volcanoes Institute, part of Friends of Hawai‘i Volcanoes National Park. Cost per person is $20 for Friends members and $30 for non-members. Students (K-12 and college with valid student ID) are half-price. Non-members are welcome to join the Friends in order to get the member discount. To register, call (808) 985-7373 or visit www.fhvnp.org. VOLUNTEER FOREST RESTORATION PROJECT. Park resource managers are working to rebuild mamane forest to improve habitat and forage quality for endemic forest birds such as ‘i‘iwi. This month we will collect and process mamane seeds within the Mauna Loa Strip section of Hawai‘i Volcanoes National Park. After seed collecting, we’ll go to the park's native plant nursery for seed pod processing. In addition, we’ll learn about the park’s native forest restoration program. Volunteers should be at least 12 years old, and be able to hike at least one mile over uneven terrain. Our goal is a crew of 12 people, and pre-registration is required. To register, contact Friends of Hawai‘i Volcanoes National Park at (808) 985-7373 or forest@fhvnp.org. For more info, visit www.fhvnp.org. NOMINEES SOUGHT FOR BOARD OF DIRECTORS! The Nominating and Elections Committee of the Friends of Hawai‘i Volcanoes National Park seeks candidates to fill current and future vacancies on our Board of Directors. Nominees of diverse backgrounds who can be visionary leaders are welcome. Prior board experience is not required, but solid candidates should be committed to FHVNP’s mission, to collaboration, and to non-profit excellence. To increase diversity, we are especially encouraging individuals from a broad range of ethnicities and cultural backgrounds to be nominated. Send your recommendations (all confidential) to Interim President Patrick W. Naughton at president@fhvnp.org. Please include the candidate’s contact information and short bio or resume, if possible. Hilo will welcome two new direct flights from California in June. United Airlines (operated by Continental Airlines) will offer daily nonstop service from Los Angeles (LAX) to Hilo International Airport (ITO) starting June 9 and Saturday flights from San Francisco (SFO) to ITO starting June 11. 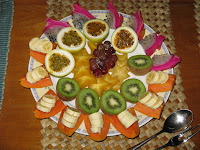 For rates and schedule information, please, look at the airline websites at www.continental.com and www.united.com. 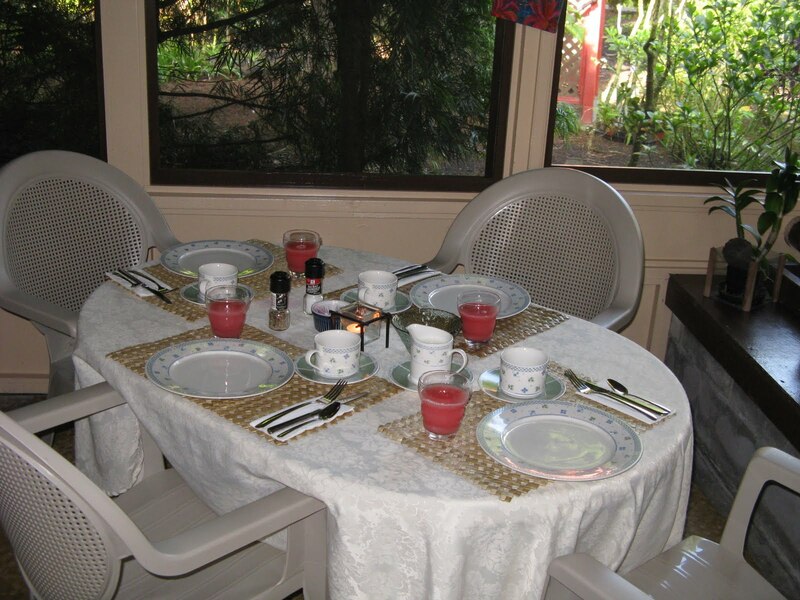 Hale Moana Hawaii Bed and Breakfast is a place of warm island hospitality and Aloha - wonderful for your romantic Hawaii vacation or your honeymoon on the Big Island. 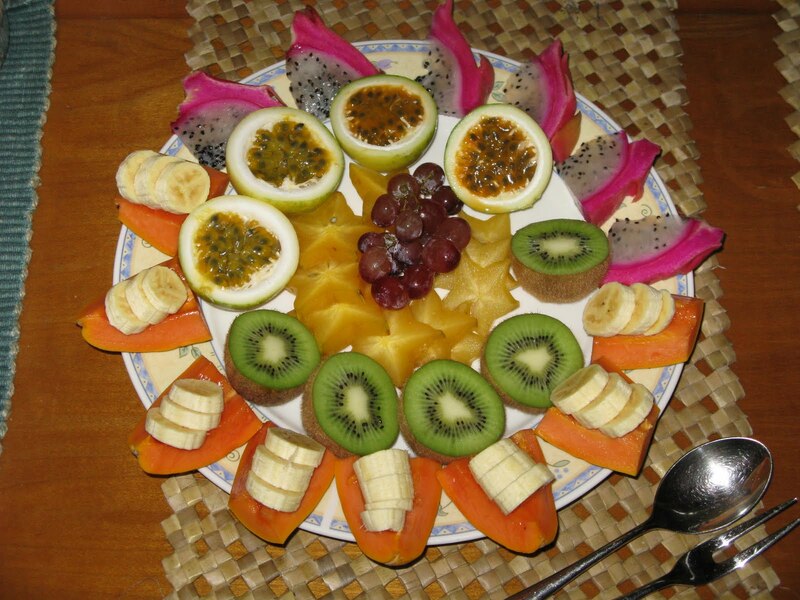 Our bed and breakfast suites are well appointed with personal and cozy features, comfortable king-size beds and beautifully decorated with orchids in a tropical theme. Private bathrooms and separate entrances to each of our suites give our guests ultimate privacy. 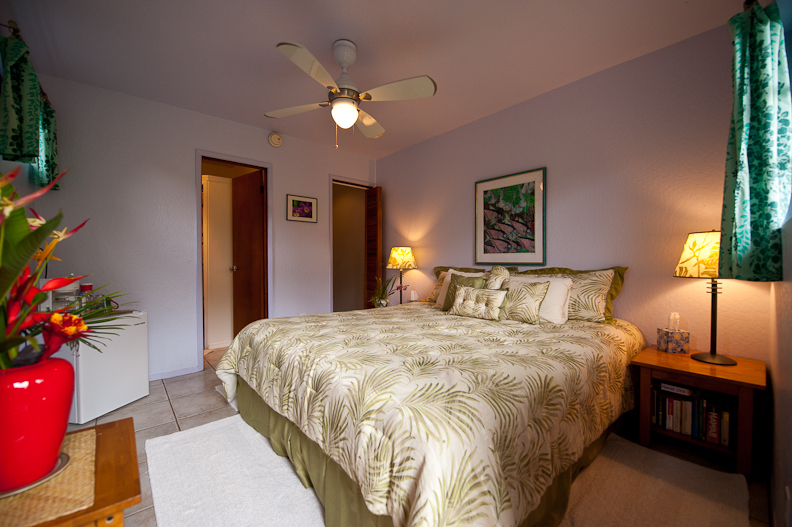 Our Lanai Suite offers two bedrooms, dining/living room area, and a fully equipped kitchen. 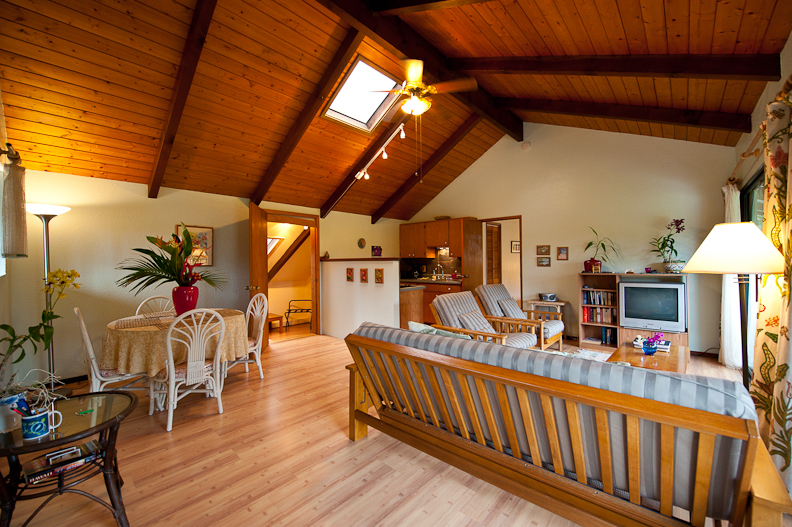 The Garden Suite is a one-bedroom apartment featuring a dining/living room area, separate bedroom and a fully equipped kitchen. 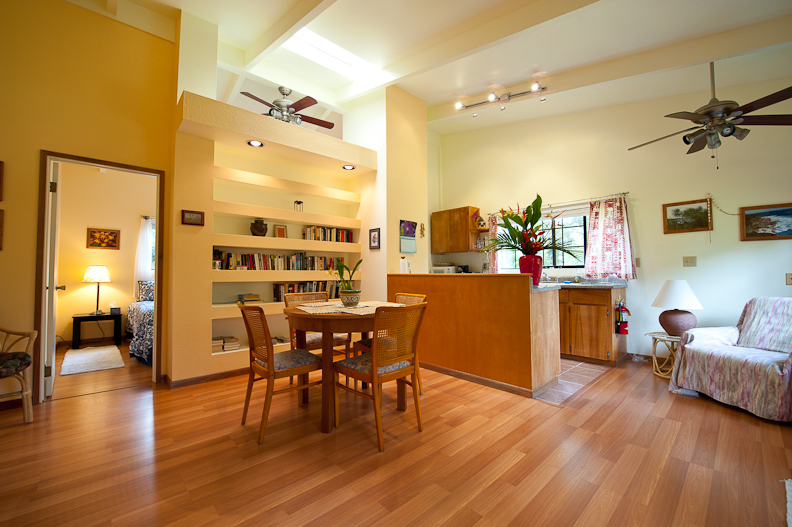 The Studio offers a coffee station and refrigerator. 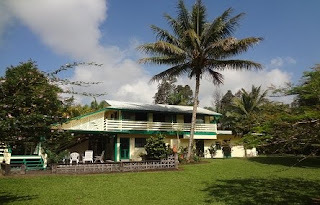 All three suites look out into our lush botanical garden, where orchids, tropical flowers, tropical fruit trees, pineapples and many other unusual plants create a tropical paradise The neighborhood of Hale Moana Bed & Breakfast in Leilani Estates is quiet and perfect for long walks or morning jogging. 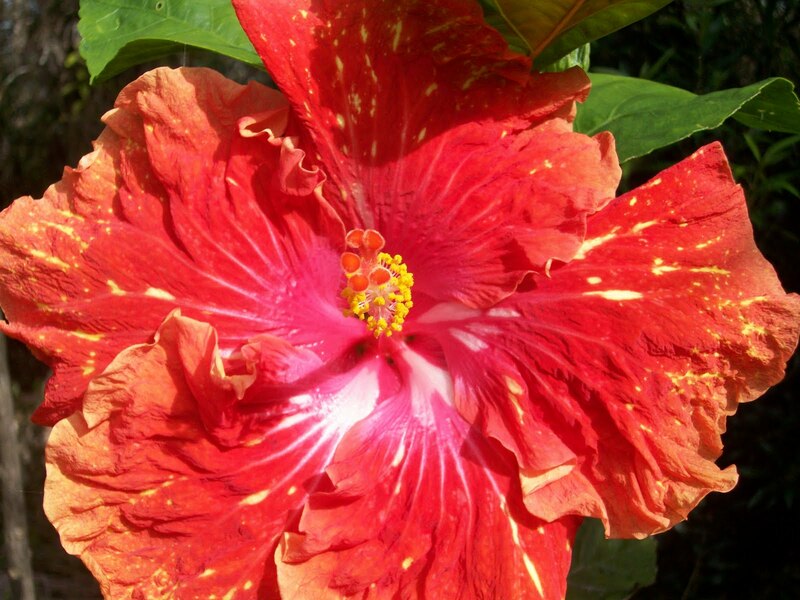 Shopping and excellent restaurants are just a 5-minute drive from here in Pahoa. ongoing ‘Ike Hana No‘eau “Experience the Skillful Work” workshops. An Evening of Hula and Hawaiian Music. Hālau Hula Kalehuaki‘eki‘eika‘iu ma Kīlauea honors, prepares for and performs hula. Part of Hawai‘i Volcanoes’ ongoing Nā Leo Manu “Heavenly Voices” series of cultural programs. 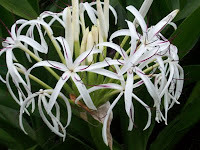 When: Wed., May 18 from 6:30 p.m. to 8 p.m.
Ku‘i Kalo. Park Ranger Jason “J.Z.” Zimmer shares the art of making poi, a skill he learned from his grandfather. 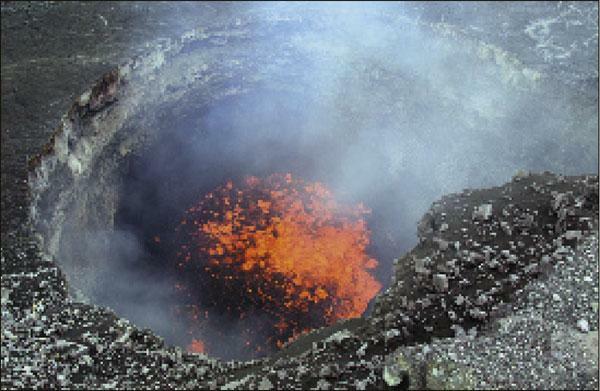 Part of Hawai‘i Volcanoes ongoing ‘Ike Hana No‘eau “Experience the Skillful Work” workshops. Saturday, May 7, 2011 from 9:00 a.m. to 3:00 p.m.
LIFE ON RECENT LAVA FLOWS. Hawai‘i Volcanoes National Park may be one of the world’s best outdoor classrooms for learning about the colonization of new geological surfaces, a process that ecologists label primary succession. 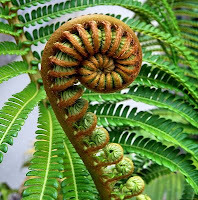 Join botanist Tim Tunison to investigate the characteristic small suite of plant and animal species found on recent lava flows; how rates of colonization differ on ‘a‘a versus pahoehoe and from dry to wet areas; and why there are few alien, invasive plants on recent lava flows. Sponsored by Hawai‘i Volcanoes Institute, part of Friends of Hawai‘i Volcanoes National Park. Cost per person is $50 for Friends members and $65 for non-members. Students (K-12 and college with valid student ID) are half-price. Non-members are welcome to join the Friends in order to get the member discount. To register, call (808) 985-7373 or visit www.fhvnp.org. Sunday, May 8, 2011 from 12:00 noon to 3:00 p.m.
SUNDAY WALK IN THE PARK. This monthly program on second Sundays is aimed at bringing together the members of the Friends of Hawai‘i Volcanoes National Park to share in the park’s beautiful trails. Led by Nick Shema, this month’s three-hour, four-mile hike will explore Kilauea Iki Crater. Starting from the park’s resources management area, we will proceed to Nahuku (Thurston Lava Tube), drop down onto the Kilauea Iki Trail, come back up via Byron Ledge and Crater Rim Trails, and return to the start. This moderately difficult hike starts at 4,000’ and has a 400’ elevation drop and gain. The walk is free to Friends members (though non-members are welcome to join the non-profit Friends group in order to attend). Park entrance fees apply. To register, contact Nick Shema at (808) 967-8648 or programs@fhvnp.org. For more info, including directions to the parking area, visit www.fhvnp.org. Saturday, May 14, 2011 from 8:30 a.m. to 1:00 p.m.
VOLUNTEER FOREST RESTORATION PROJECT. Volunteers are needed to help remove invasive, non-native faya plants that have grown in the Keanakakoi Special Ecological Area since Hawai‘i Volcanoes National Park cleared the area a few years ago. Most faya are seedlings that pull easily; a few are maturing trees that we will cut with saws. We’ll also learn about the park's native forest restoration program and control of invasive plants in Special Ecological Areas. 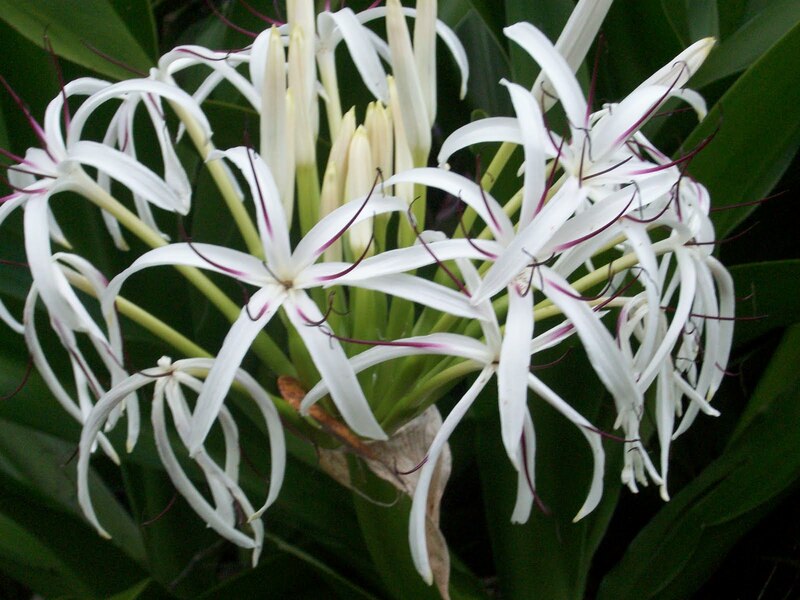 Keanakakoi has a wonderful ‘ohi‘a forest with a nice variety of native under-story plants and cindery soil. Volunteers should be at least 12 years old, and be able to hike at least one mile over uneven terrain. Our goal is a crew of 16 people, and pre-registration is required. To register, contact Friends of Hawai‘i Volcanoes National Park at (808) 985-7373 or forest@fhvnp.org. For more info, visit www.fhvnp.org. Sunday, May 22, 2011 from 9:00 a.m. to 1:00 p.m. NATIVE INSECTS: A FIELD DISCOVERY. 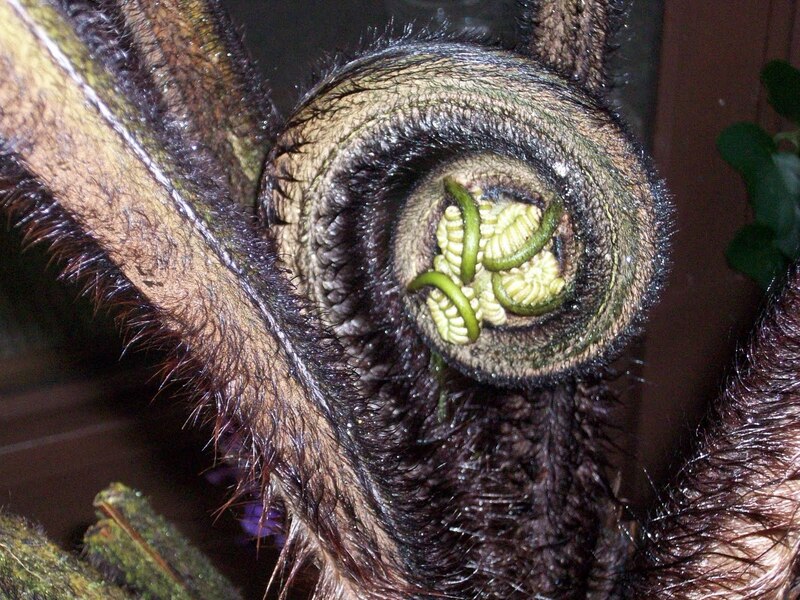 Join Hawai‘i insect specialist David Foote to look for Kamehameha butterflies, longhorn beetles, fruit flies, and happyface spiders in Kipukapuaulu (Bird Park). 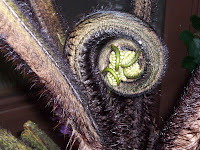 Hawaii’s native insect fauna has undergone many examples of spectacular adaptive radiations, and we’ll look for examples of these evolutionary processes in some of the more common native insect species. We’ll also talk about the functional role of insects in Hawai‘i’s native ecosystems, the impact of invasive alien insects, and the conservation of native Hawaiian insects. Sponsored by Hawai‘i Volcanoes Institute, part of Friends of Hawai‘i Volcanoes National Park. Cost per person is $35 for Friends members and $50 for non-members. Students (K-12 and college with valid student ID) are half-price. Non-members are welcome to join the Friends in order to get the member discount. To register, call (808) 985-7373 or visit www.fhvnp.org.